When Jennifer and Caleb Smith headed to the hospital in December for the birth of their daughter, they had a picture in their minds of how wonderful it would be to have a “Christmas baby.” However, their high hopes turned into a nightmare rather quickly, just seconds after baby Silvana was born. Silvana (Silvie) had the umbilical cord wrapped around her neck, meconium in the umbilical cord and lungs; and was diagnosed with Persistent Pulmonary Hypertension of the Newborn. “My OB/GYN doctor had this look on her face, and I knew that it was not good,” says Jennifer. They were told that their baby needed to be transported to a Level 3 Neonatal Intensive Care Unit (NICU) at another hospital. “I got to see her for only about 5 to 10 seconds, but I couldn’t see her face, she had an oxygen mask on,” says Jennifer. 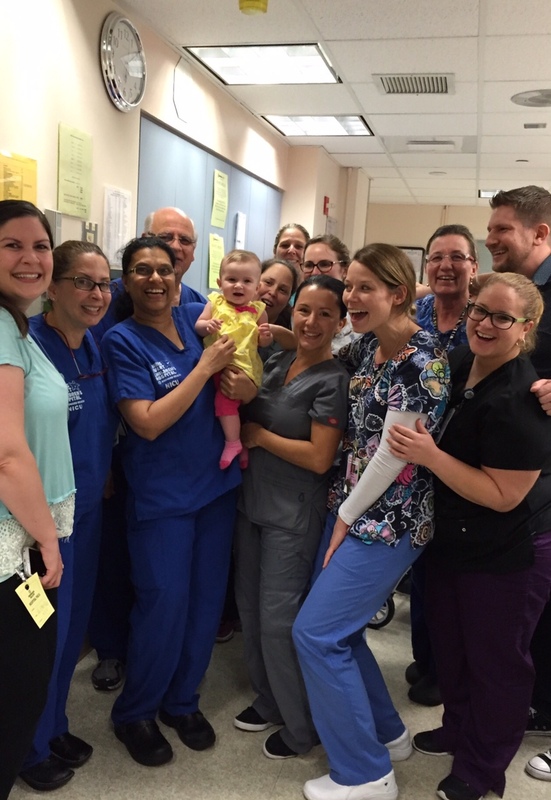 It was 30 hours later that she had the chance to see her newborn baby again in Davie. It was nearly a month before she had the chance to hold baby Silvie. 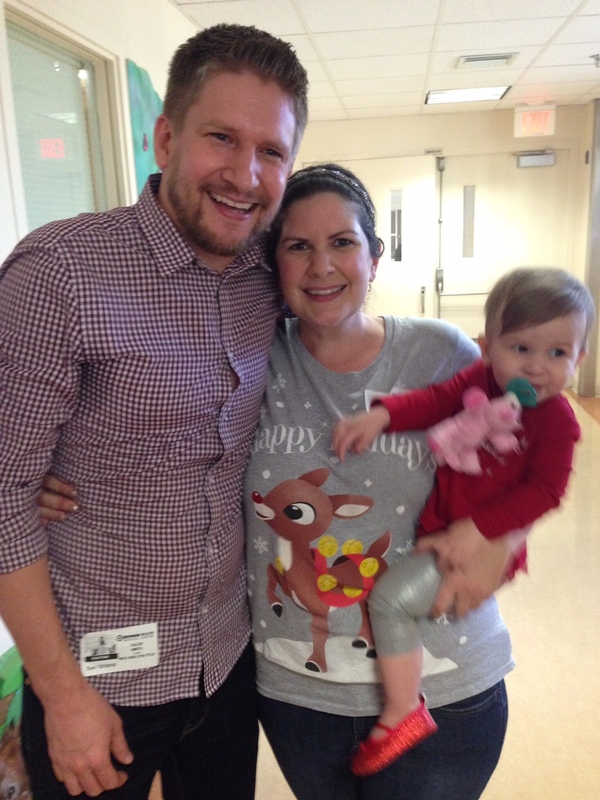 Silvie was placed on a high powered life-support oscillator, had four blood transfusions and countless procedures during her time in the NICU. She was given a 10% chance of living. “We always said if she makes it, we will find a way to give back,” says Jennifer. After two months of what both Jennifer and Caleb call one of the darkest times in their life, they were finally able to take Silvie home. Despite the odds, she made it! “Being in the NICU is like being in a war zone. Alarms are ringing; doctors and nurses are tending to over 50 babies in a small space. The noise never stops. Each baby is hooked up to a monitor that constantly alarms,” describes Jennifer. Sadly, not all of the babies they saw were as fortunate as Silvie. The baby next to her, who had a similar diagnosis, died on New Year’s Eve. Jennifer describes it as a nightmare and her memory of “baby’s first New Year’s”. As the holidays approached the next year, Jennifer realized that there are a lot of good organizations like Toys for Tots, but there’s really nothing for parents and babies who end up in the NICU during the holidays. 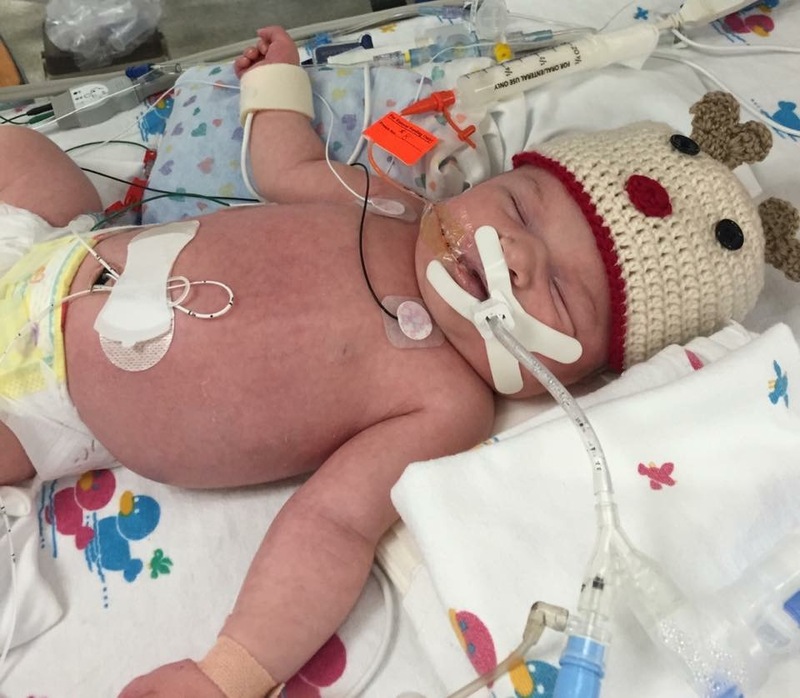 She started a GoFundMe page and an organization called Silvie Bells to gather gifts and useful items for those parents in the NICU during the holidays. 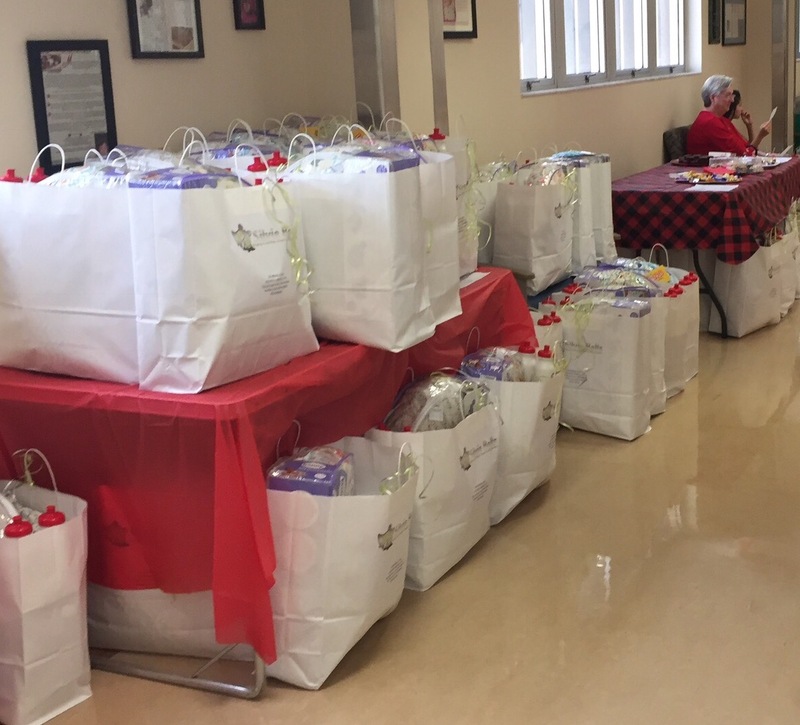 They quickly put together fifty gift bags full of everything that they had needed. 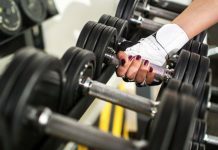 Jennifer and Caleb were the perfect couple to gather these items, as they had inside knowledge of exactly what was the most helpful in their own experience. How did you get donations for Silvie Bells? “Almost all of the companies I approached matched us one for one,” says Jennifer. For example, the makers of Boppy Pillows matched them one for one – we purchased 25 and the company donated 25 of them. Wubbanub was another great thing for NICU parents to have. It’s a pacifier attached to a little stuffed animal. “It was the first kind of pacifier that Silvie was able to hold onto,” says Jennifer. When babies are hooked up to all kinds of cords and put on multiple medications, it’s important that the wipes used are fragrance-free and don’t cause diaper rash on top of everything else. A company called Water Wipes generously donated 2 packages per family. Owlet did the one for one matching, so that each of the babies could get sock monitors, which measure oxygen and pulse rate. This was something very helpful to have at home, Jennifer and Caleb found. These sock monitors are valued at $250 each. Another gift in the goody bag was the LullaDoll, which “breathes” to the pattern of a meditating yogi. The doll carries the Mom’s scent and has a slight heartbeat sound, making it much easier for the baby to sleep, as it mimics the womb. Another important tool of the trade is a notebook and a pen, so those were included too. Different doctors would tell them different things. “I found it very helpful to keep a journal of everything that was said to us,” says Jennifer. One little girl donated part of her annual allowance toward this and helped shop for the notebooks and pens. Where they were stationed at Salah Children’s Hospital at Broward Health Center, there was a Subway and a Starbucks inside the hospital. So Subway and Starbucks gift cards were part of the goody bags too. Someone who reached out to them via social media was generous enough to crochet 50 tiny newborn hats for the gift bags. “Jasmine, the hat maker, packaged them in little bags with candy canes,” says Jennifer. Silvie’s grandfather works at Stonegate Bank, Pompano Beach. Instead of doing Secret Santas, they all donated to Silvie Bells bringing about $1,000 to the donation pool. When it was all said and done, each gift bag was valued at around $575. It was a joyous day of handing out the gift bag to each family. Last December Jennifer set up tables with food in the hallway of the NICU, where they had been just a year previously. They brought Silvie, which was fun for some of the nurses who hadn’t seen her since she was an infant. Just seeing Silvie, a healthy baby, gave some of the families hope as they realized that Silvie came from the very same NICU. All were incredibly grateful for the bags. Silvie Bells is growing with the objective of reaching a few more hospitals each year. 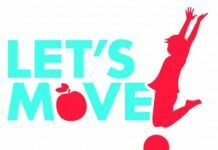 This year they plan to again visit Salah Children’s Hospital at Broward Health Center and another hospital in Palm Beach County. They participated in the Great Give and were very happy to receive nearly $1,000. Meanwhile, Jennifer has friends who have home businesses like Jamberry and LulaRoe. They have been having fundraisers each month for Silvie Bells, donating a part of the profits to the nonprofit, which is now a 501c3. “I’d really like a mentor, so I could figure out how to really grow my nonprofit,” says Jennifer Smith. 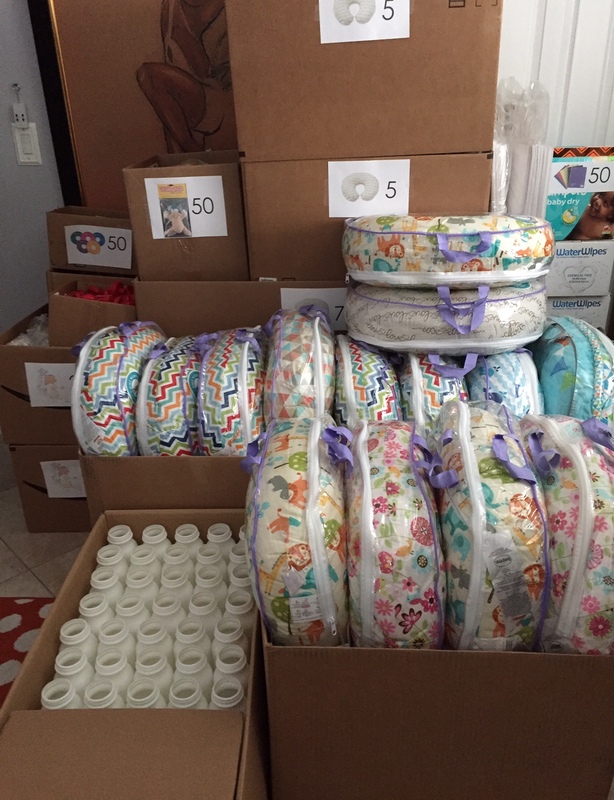 Her only goal is to give out more gift bags to more parents in the NICU. 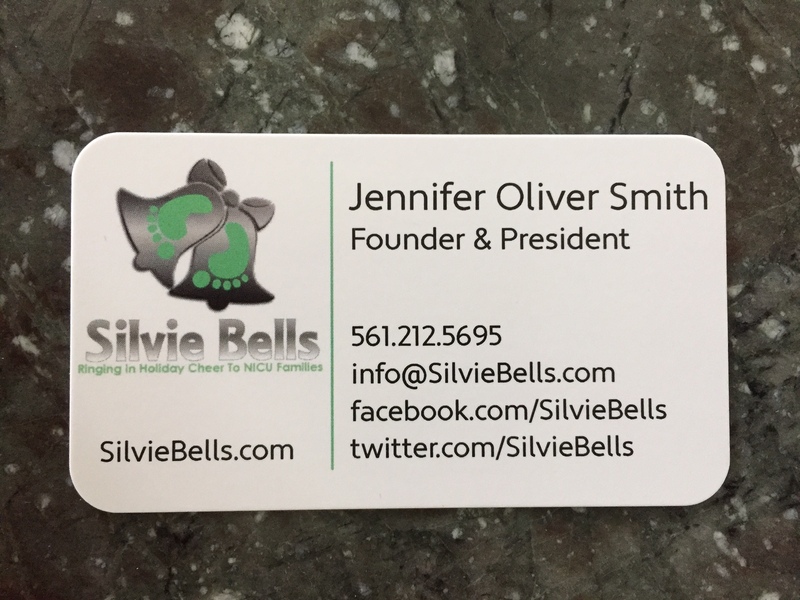 In fact, their mission statement is simple, “Silvie Bell’s mission is to give families with babies in the NICU gifts and support during the holiday season.” Jennifer would like to get more corporate donations, now that Silvie Bells has non-profit status and grow the organization. How do you get involved with Silvie Bells?